I hope you have all had a lovely Easter break, after so many days of great weather today is a bit of a shock to system! So here is a card to bring a bit of sunshine to this rather wet morning! To make this card I started by stamping the detailed Lizzie stamp 3 times onto some pink velum, heat embossed them and cut them out. Next I cut a piece of cream card 2cm smaller (length and width) than an A5 card, on this I positioned the flowers but didn't attached them and then stamped the solid leaf once for the top and bottom flower and twice for the centre flower. Over the top of the leaves I stamped the detailed leaf stamp. Around the edge of the cream card I drew on some stitching. Down the right hand side of the card I attached some wide pink ribbon. The cream card was then attached to a pink piece of card cut 1cm larger (both length and width). 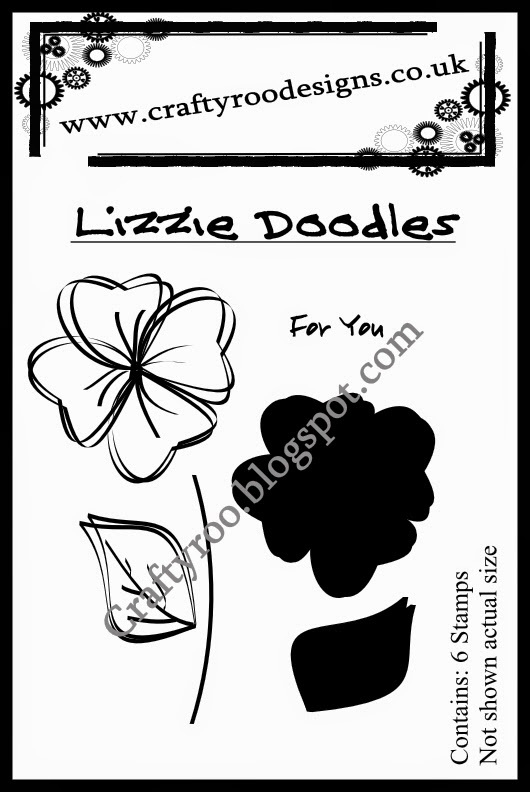 Onto the pink card I had randomly stamped the detailed Lizzie stamp around the edge in a darker pink ink. This was then attached to a A5 base Kraft card. To finish of the card I die cut two shapes, one in cream just big enough to add the sentiment "For You" and a larger pink one which I stamped the detailed Lizzie stamp onto, this was then attached to the bottom of the ribbon along with some pins. 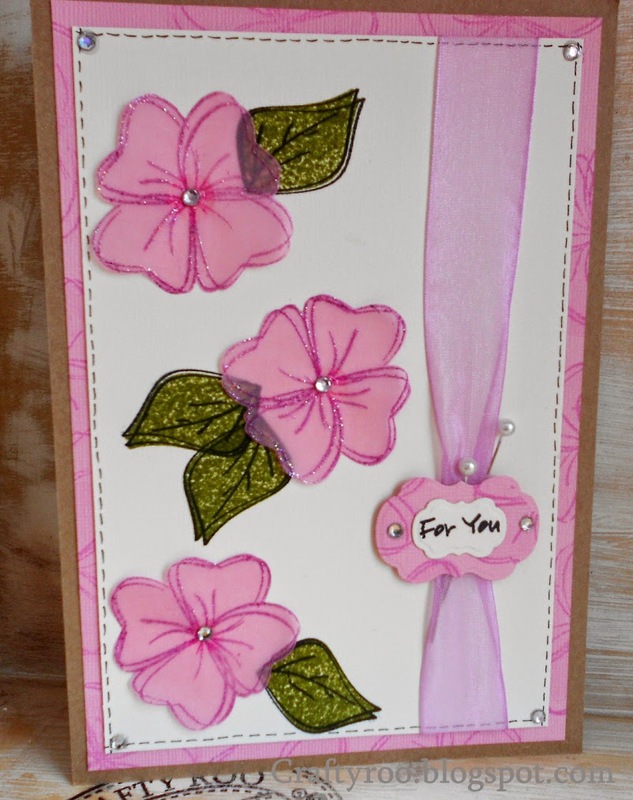 Finally I attached the flowers and added a gem to the centre of each flower, each corner of the cream card and to each side of the sentiment.